Hello welcome, I'm Lesley working professionally and ethically: I have a wealth of skills to help. Do you need some upliftment, stress relief and rebalancing or relaxation and much more? Are you ready to be transported into a safe place that relieves stress and kick-starts your body's ability to heal on all levels naturally and powerfully? Then it's time for a Reiki reset in Stevenage to realign and harmonise you. Intelligent wise sessions enable us to quickly enhance your healing process. Just as your car benefits from regular servicing, timely Reiki maintenance enhances your all-round performance. So, book today to experience the outstanding benefits that Reiki offers. You will benefit from the added gift of my inspired, intuitive healing skill of communication which is complementary to Reiki. Maybe a therapeutic reading is more to your taste bringing insight, guidance and understanding. Healing begins the moment you make contact, so give me a call soon. Session cost just £30.00 per hour. Unlike some, I limit the number of clients I work with, so that I can be an effective conduit to provide maximum help. Flexible appointments available on weekdays, weekends and Bank holidays. Based in Stevenage, I can help you. Calm your mind, heal your body and nourish your soul. Your privacy and my transparency and ethics are vitally important. Insured, I am on the CNHC accredited register & a member of UKRF upholding professional excellence for Reiki. Just one session helps lift and revitalise you. If you are an over thinker, constantly feeling stress, having space to offload is healing in itself. I am confident you will feel something of incredible value. Use my accumulated wisdom and professional expertise to help with personal problems, spiritual development and general wellbeing. .
Current research indicates that stress creates illness and depresses the immune system. And yet: the body's natural state is one of wholeness and wellness. all you need to do is to stop long enough for the body to access its strength with my help. Reiki induces an instinctive quality of peace and stillness, boosting the body's natural healing ability, creating the space where whole healing begins. Tailored sessions instinctively identify blocks. I can introduce you to a new awareness where healthier beliefs begin to replace the old. Understand the power of your thoughts, recognising disempowering beliefs and their negative effects on your life and body. 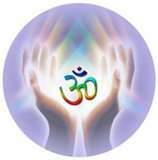 Reiki Counselling helps to unlock the door to your potential, aiding healing of old wounds. You wouldn't ignore the gearbox which propels your car seamlessly, so why ignore all the parts of yourself that need to be in alignment? Why choose me? I am constantly adding to my understanding of how we each 'tick', delivering a well-rounded warm practice with the session focused on YOU and your uniqueness . Truly genuine in my desire to help, going the extra mile is standard and I won't 'trap' you in therapy when it is not necessary. 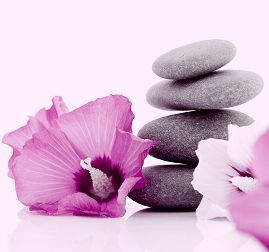 Reiki ( Luton Stevenage, St.Albans and Herts). I am based in Stevenage. We will all experience Reiki differently, as each life is unique, but people benefit from taking time out for peace and relaxation. Muscle tension relaxes enabling the body to heal itself whilst allowing you to feel balanced, harmonised and vibrant. The restorative quality of Reiki makes a difference, supporting the medical model by creating space for healing to occur. When your energy centres are balanced, you become a walking rainbow. 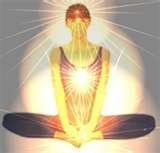 Read more about the chakras in the Reiki section and understand their importance to our health. Many practitioners deliver Reiki, however I acknowledge that the skills of the counsellor help heal in a whole body mind spirit sense. Reiki can bring up deep feelings that need release, and the gentle counselling skills aid in that process. Sceptical about what you can't see or make sense of? You can't see microvawes , T.V , radio or mobile waves - but you will 'feel' the quality of Reiki energy. I am happy to answer your questions, and your contact does not oblige you in any way. I am based in the Bedwell area of Stevenage: easy to locate and park or bus. I am in easy reach of Luton, Hitchin, St.Albans, Welwyn Garden City and surrounding areas. A no obligation call or text will advise you of effective solutions to life's problems and stresses and get you back on track. Find me in Google under Counsellor Stevenage, Counselling St Albans, Reiki Luton and other searches. I belong to BACP to support my counsellor Stevenage, practice and counselling St Albans . Also I belong to the UK Reiki Federation to support my practice in Reiki Luton, St. Albans and surrounding areas. REACH OUT AND MOVE FROM PAIN TO PEACE.